Quietly located in Hurzuf, this hotel features an outdoor pool, a spa and a terrace overlooking the Black Sea. Its air-conditioned suites and apartments feature flat-screen TVs and DVD players. 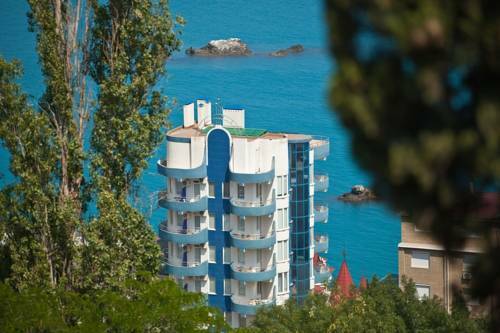 Featuring free Wi-Fi and free private parking, Europe Hotel is located on the Black Sea coast in Partenit village. 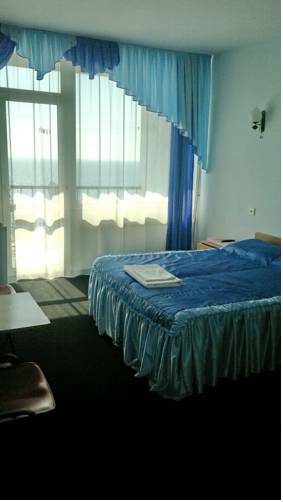 It offers rooms with a view of the sea. Each room at Hotel Europe includes a flat-screen TV and minibar. 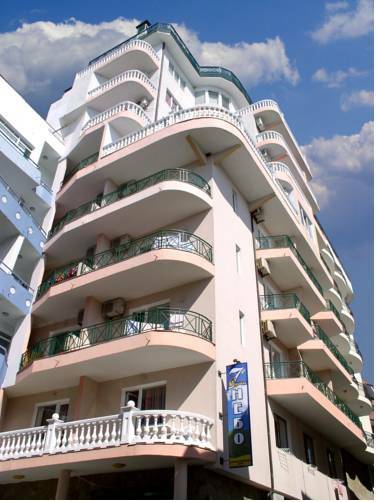 Located on the Black Sea beach in Utyos village, Riviera Hotel features free Wi-Fi and a sauna. Guests are offered a 24-reception and bright rooms. Every room at Riviera includes a classic-style interior and has a fridge. 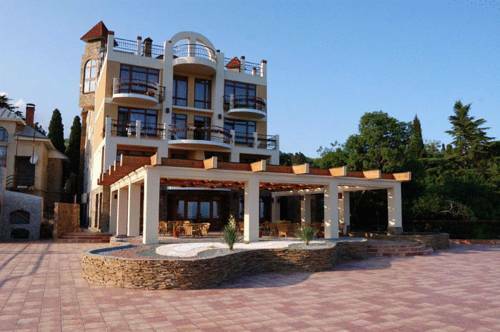 Spa Hotel Kruiz is located only 40 metres from the Black Sea beach. 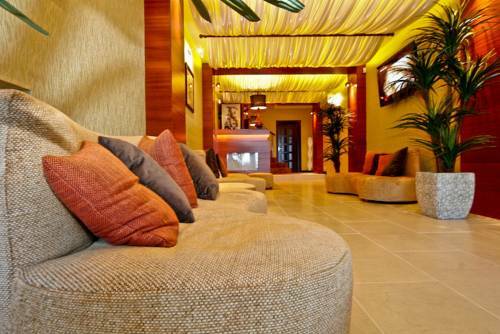 Guests can use a spa centre and free Wi-Fi is provided. Bright, air-conditioned rooms come with a TV, refrigerator and private modern bathroom. 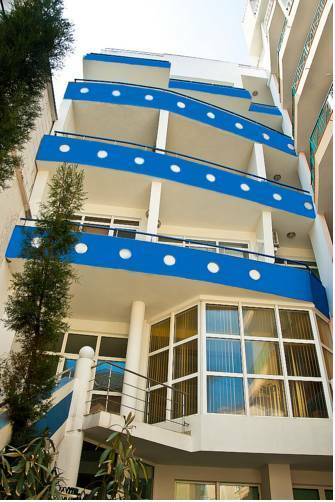 Located 10 metres from the Black Sea beach in Utyos town, this hotel features free Wi-Fi and a massage service. It offers air-conditioned rooms with a flat-screen TV. All the individually designed rooms at X.O. 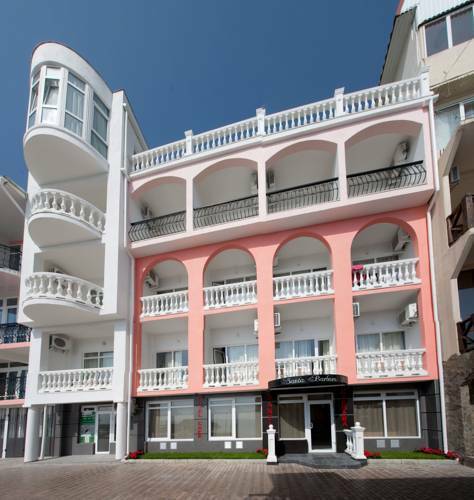 Located just 5 minutes’ walk from the Black Sea beach in Utes village, this hotel features a café and rooms with air conditioning. Alushta town is 13 km from Sedmoye Nebo Hotel. Each room includes a classic style interior and a fridge. 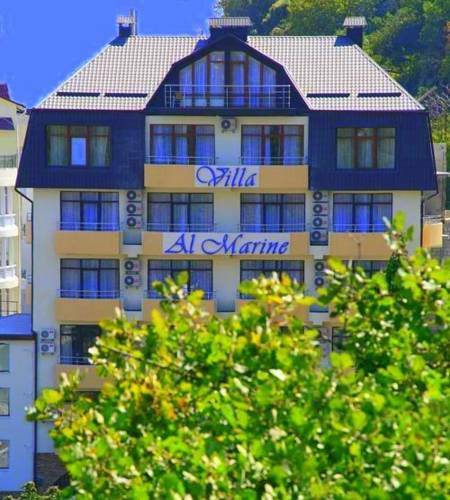 Located on the Black Sea beach in Utes, 12 km south from Alushta, Elita Hotel offers air-conditioned rooms with a flat-screen TV. The Princess Gagarina Palace is 400 metres away. 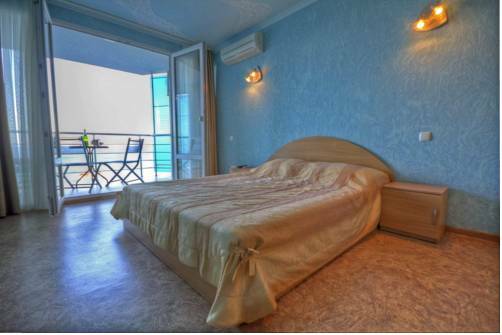 Villa Al Marine is located in a quiet and picturesque area, only 50 metres from the Black Sea beach. It features an outdoor swimming pool and a children’s playground. Free Wi-Fi is provided. The hotel’s restaurant offers European dishes. 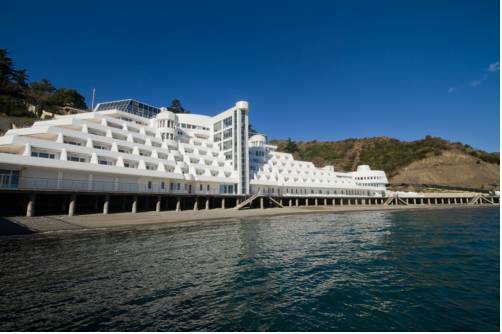 Located in Utes, this hotel comes with a 24-hour reception, sauna and massage service. BBQ facilities are available onsite. The Black Sea beach is a minute walk away.